Sports know no color—just ask Manny Rodriguez, vice president of sponsorships, events, and charitable giving at Texas-based Reliant Energy Retail Holdings, LLC. “Sport is one of the few things that transcends culture, ethnicity, and race,” Rodriguez says. “It is one venue where all is put aside and everyone comes together for a common goal, which is to root for their team. 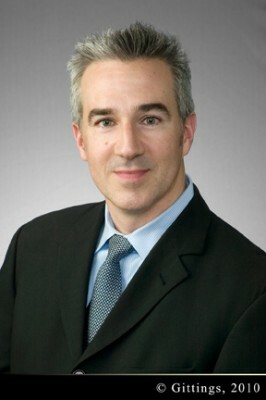 So, that platform is a great opportunity to engage with fans.” Heading the sponsorship groups for NRG and Reliant, Rodriguez and his team leverage relationships with sports franchises—such as the NFL, MLB, and NBA—to bring energy to numerous stadiums and training facilities throughout Texas and the United States. Rodriguez shares with us a few of his company’s greenest projects. Tell us about your involvement with the Texas Gulf Coast Chapter of The Leukemia & Lymphoma Society (LLS). I was diagnosed 11 years ago with Chronic Myelogenous Leukemia. Early on in researching treatments, I found a study drug being developed, in part from funds raised by the LLS. Today I celebrate 10 years being in remission, and I’ve been involved with LLS for several years now. What’s your favorite sports team? A baseball player. In high school I ran track and my speed was of tremendous interest to the baseball coach. I was asked to try out for the baseball team. Coach was quick to realize that my speed was useless since I couldn’t hit and I’d never get on base. My baseball career ended there. 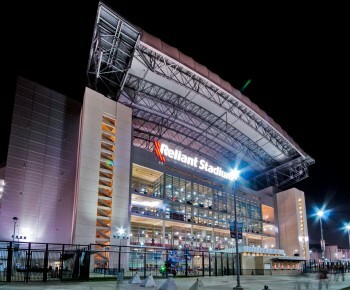 Reliant Stadium in Houston boasts an indoor/outdoor retractable-roof and natural-grass stadium. Reliant has partnered with the Texans on a number of charitable endeavors and community programs, including Scholarship for Champions, which awards scholarships to high-school student athletes, and Rebuilding Together Houston that brings together Texans’s staff, players, and cheerleaders, along with its own employee volunteers, to rebuild houses across Houston. The company has also partnered with the Houston Rodeo to offer several community programs and charitable fundraisers such as the 2010 Reliant Power Ride, where Reliant donates $50 to the Houston Livestock Show and Rodeo Education Fund for every eight-second bull ride.